Your Price: $39,673 + HST & Licence. Regular Unleaded V-8 5.7 L/346 - 5.7 L cyl. KBB.com Best Resale Value Awards. 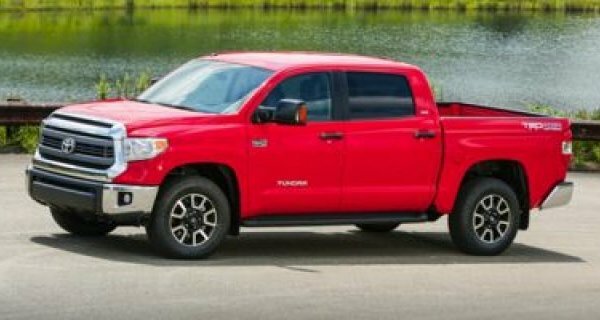 This Toyota Tundra boasts a Regular Unleaded V-8 5.7 L/346 engine powering this Automatic transmission. Wheels: 18 Aluminum Alloy w/ Wheel Locks, Variable Intermittent Wipers w/Heated Wiper Park, Urethane Gear Shift Knob. 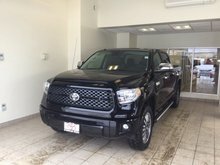 *This Toyota Tundra Comes Equipped with These Options *Trip Computer, Transmission: Super ECT 6-Speed Automatic -inc: overdrive, sequential shift mode, tow/haul mode, console mounted shift lever, lock up torque converter, transmission cooler and automatic transmission fluid warmer, Tires: P275/65R18 AS -inc: 255/70R18 spare tire w/steel wheel, TBD Axle Ratio, Tailgate Rear Cargo Access, Systems Monitor, Streaming Audio, Steel Spare Wheel, Splash Guards, Single Stainless Steel Exhaust. 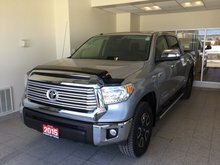 * This Toyota Tundra is a Superstar! *KBB.com Best Resale Value Awards, KBB.com 10 Most Awarded Brands. 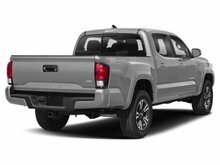 * Visit Us Today *Live a little- stop by North Bay Toyota located at 640 McKeown Ave, North Bay, ON P1B 7M2 to make this car yours today! 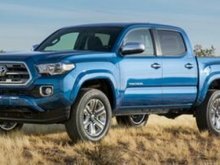 Want to try the 2017 Toyota Tundra 4WD Crewmax 146 5.7L SR5 Plus ? $63,125 + HST & Licence. $46,520 + HST & Licence. $46,774 + HST & Licence.